Power tariffs to aluminum smelters in Iceland are among the lowest in the world. 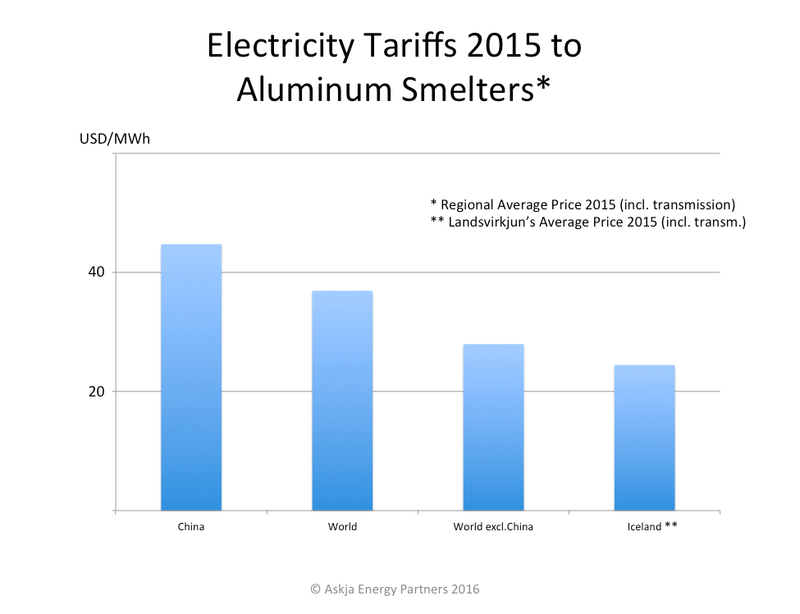 Due to low aluminum price in 2015, electricity price to aluminum smelters declined in most parts of the world during 2015. The world average smelter power tariff fell by 12% in 2015, according to CRU Group. This drop can primarily be attributed to a 15% drop in China’s average power tariff. The average power tariff in the World excluding China also fell in 2015, decreasing by 8.2%. The average power tariff to smelters in Iceland also declined in 2015, although the decline was less than in some other areas of the world. 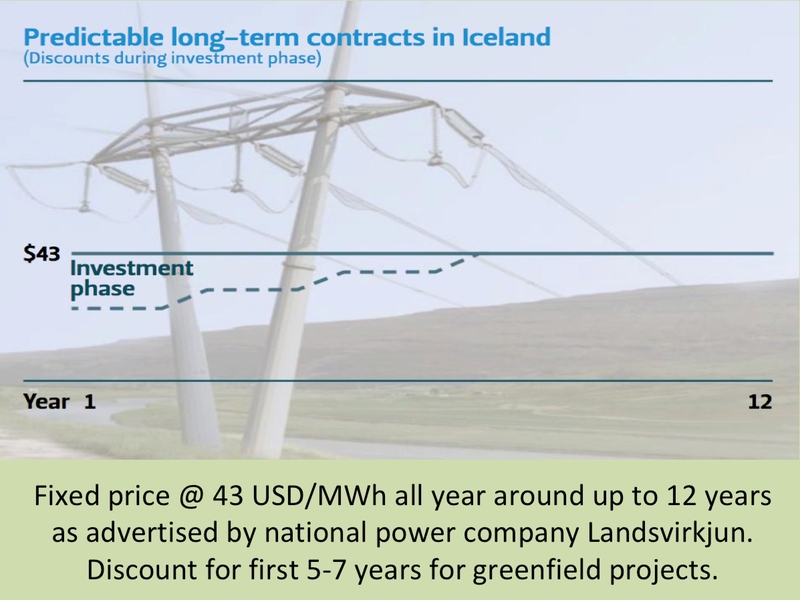 The result was that during 2015, the average electricity price from Icelandic power company Landsvirkjun to the aluminum smelters in Iceland, was approximately 2/3 of the world average tariff to such smelters. ← Viking Link ready in 2022?